We are planting a new community orchard - the orchard will be a beautiful place providing food for free, a home for wildlife, and an educational resource for residents and local schools. After just over a year of consultation with all the residents of Ridge estate and meetings with the council, we have been given the go ahead to plant a new community orchard. The Ridge Community Orchard has received overwhelming support from residents and is part of Incredible Edible Lancaster’s work to plant open access community gardens and orchards, to provide food for free for all. The orchard will be a beautiful place providing food for free, a home for wildlife and an educational resource for residents and local schools. There will be events such as harvest festivals and community cooking sessions at the community centre, and people will learn how to look after the trees and develop the site. The orchard will provide a social space to make new friends and learn new skills, somewhere to get fresh air and exercise, or just to be at peace in beautiful surroundings, as well as increasing biodiversity and providing a home for pollinating insects. The plan is to plant 80 fruit trees in small clusters, we also hope to install a lovely wooden noticeboard. 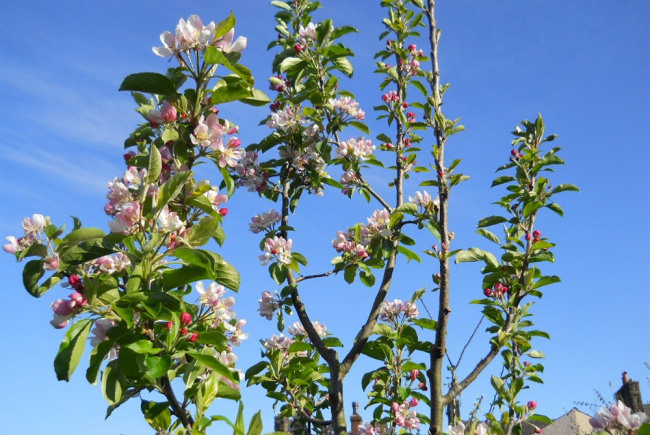 Community orchards - look beautiful, provide food for free, enhance local biodiversity providing nectar for pollinators and homes for birds, provide a space for people to socialise and a space for people to learn new skills! Our core volunteers, the local school and over 70 residents have said they want to plant and look after the orchard. All local residents have been consulted about what trees to plant and how the Orchard should look, most people preferring a natural appearance of small clusters of trees. The planting plan will leave plenty of space for local residents to walk their dogs and play on open ground. The planting will be done in phases, with the first phase of 24 trees being planted in the autumn/winter of 2013. The City Council have agreed to continue mow the majority of the grass, but the grass under the trees will be left long to discourage vandalism. Once a year the areas under the trees can be carefully strimmed and cleared to encourage growth of wildflowers. Ridge Estate is in Bulk ward, one of the most deprived wards in the country with few resources. As local residents ourselves we feel it would be good to have something that is both useful and beautiful for our community, that will contribute to our well-being and that will last into the future. We're not just any project, we're a local project made up of local people nurturing neglected land and planting open access community gardens so that everyone can garden and gather food for free. How does our garden grow? 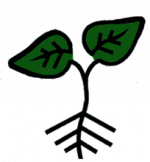 We do the groundwork - on the ground and in our commnity, we talk, share, work, plan and grow together. We aim for the transformation of Lancaster into an oasis filled with local food and lovely sights. Much more than a few people growing vegetables, we care passionately about our communities, our well-being, our environment, the right-here right-now and the future. We can build a kinder, greener, healthier community, the time is ripe, come and join us! Say it with food and say it with flowers! If you eat, you're in!